The Aronico Cargo Net Canopy provides a climbing and playing environment that most emulates a natural forest or jungle. 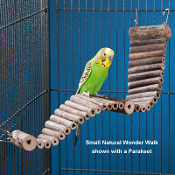 Made of untreated Abaca, this climbing grid can be hung or draped and its configuration changed as often as you like. Due to the size and weight of this product, additional shipping costs may apply. 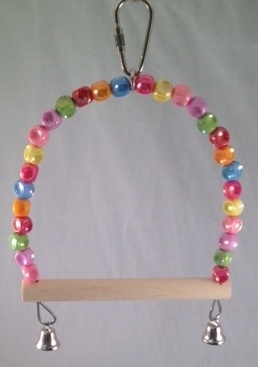 Cotton Ring Swing - Small - 5" x 5"
Parrot Bridge - Small - 26" x 8"